For if you forgive other people when they sin against you, your heavenly Father will also forgive you. But if you do not forgive others their sins, your Father will not forgive your sins(Matthew 6:14-15 NIV). 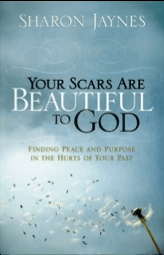 Learn more about the power of forgiveness in my book Your Scars are Beautiful to God: Finding Peace and Purpose in the Hurts of Your Past. Learn how to turn your heartache into hope and your messes into your message! There is power in your story, and many times it is released when you forgive.